A York hotelier is urging colleagues in the hospitality industry to respond to the City Council’s proposals for guest parking permits. The authority is proposing to introduce a permit scheme for those staying at guest houses and hotels, which will allow them to park their vehicles up until noon the following day, in a number of designated car parks throughout the city. The cost for the scheme, which is now part-way through a three-week consultation process, is £240 for a book containing 30 parking permits, which equates to £8 per car, per night. 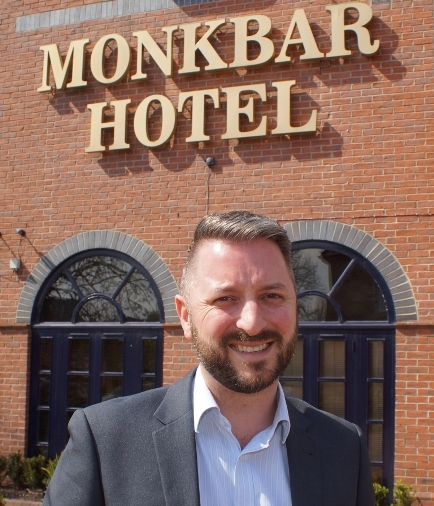 Graham Usher, general manager of the BEST WESTERN Monkbar Hotel and chair of York Hoteliers’ Association, said he believed that, despite it being more expensive than the council’s previous proposal, the later departure time of noon was a real concession. Mr Usher added: “We have been in talks with the council for a number of months regarding this issue, and officers and members have taken on board our concerns regarding cost and duration. “I believe what we have now got a far better solution, one that is extremely beneficial to guests in terms of departure times. “This means they don’t have dash out at 8am that morning to either move their car or feed the meter more money, but will hopefully encourage them to stay in the city a little longer either sightseeing or shopping – or both! The designated car parks for the scheme Castle Mills Car Park, Foss Bank Car Park, Marygate Car Park, Monk Bar Car Park, Nunnery Lane Car Park, St George’s Field Car Park and Union Terrace Car Park. Leeds’ Canal Mills open for bookings!